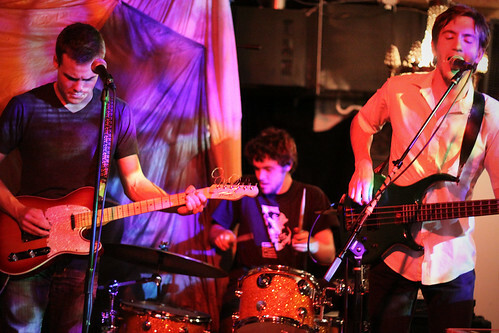 In October, Motel Motel performed at the NYCTaper CMJ Show at Bruar Falls. That afternoon the band played three brand new songs, two of which did not yet have proper titles. 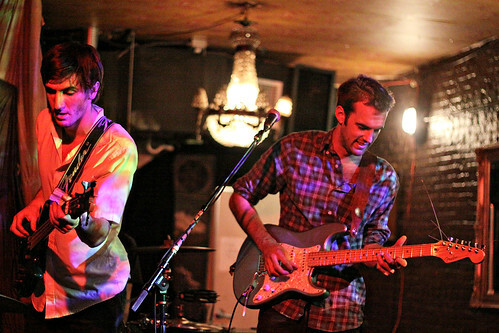 Shortly after CMJ, Motel Motel went into the studio to record their new album, at which they are still hard at work. The band took a break from the sessions to play a show at Union Pool on Thursday night, and Acidjack was there for nyctaper. “Motel Motel have been on a bit of a break recording new material. The rest did them good. A packed house at Union Pool saw them tear through six new songs which add new layers of complexity and depth to their country-influenced sound. We expect more great things from this band in 2010. If you email nyctaper for access to this recording, we expect that you will PLEASE SUPPORT Motel Motel, visit their website, visit their MySpace page, and purchase their official releases from the Store at their website [HERE]. Awesome, thanks for this! Look forward to listening to the new songs.